(Newser) – Disturbing news on World Cancer Day: Cases are poised to surge in the coming years, jumping 50% by 2030, according to a UN report. That means 21.6 million cases per year, compared to a rate that was 14 million in 2012, AFP reports. By 2035, we're likely to see 24 million new cases a year. Deaths from cancer are set to climb to 13 million per year, versus 8.2 million in 2012. A key reason for the upswing: lung cancer that's "inextricably linked" to Big Tobacco sales efforts. Developing countries will face the greatest danger as wealthier people increasingly smoke, drink, and eat processed foods while getting less exercise. (R) 2016 Gov. 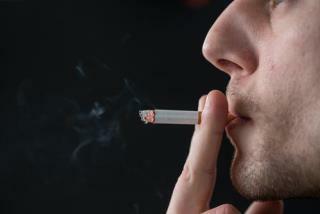 RICK PERRY Report: Both Cigarette and Marijuana can stain our lung. These days we don't hear that much from the Southern tobacco farmers anymore. The States need to battle against Afghan Opium farmers' heroin and cocaine products too for a long-run caution. This Message brought to you by Chicken Little, "The Sky is Falling". After the Tobacco companies got their asses handed to them in the US, they went full force in Asia and S. America. They were able to advertise with few restrictions. They made a fortune. Sooner or later, these countries will send them packing. I lost all 4 Grandparents, my Mother directly to Cigarette use.